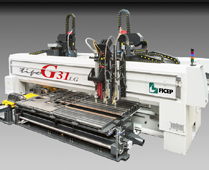 The Tipo C product line is extremely attractive to these industries because it combines the operations of Punching, Marking, Scribing, Plasma Cutting, Drilling, Tapping, Milling, And More! The special hydraulic punching head on the Tipo C system with its programmable stroke permit the optimum usage of high capacity tooling with rake angle to substantially reduce the required tonnage during the punching operation. The plasma head on the Ficep Tipo C features a patented design where the torch is positioned independent of the punching head in the "Y" axis of the system. This feature drastically reduces the weight that is required to be positioned in this axis to improve the edge condition that is generated with the plasma torch when sharp corners are required. The tool changer option permits up to 14 tools to be automatically loaded into the punching head of the Tipo C system. 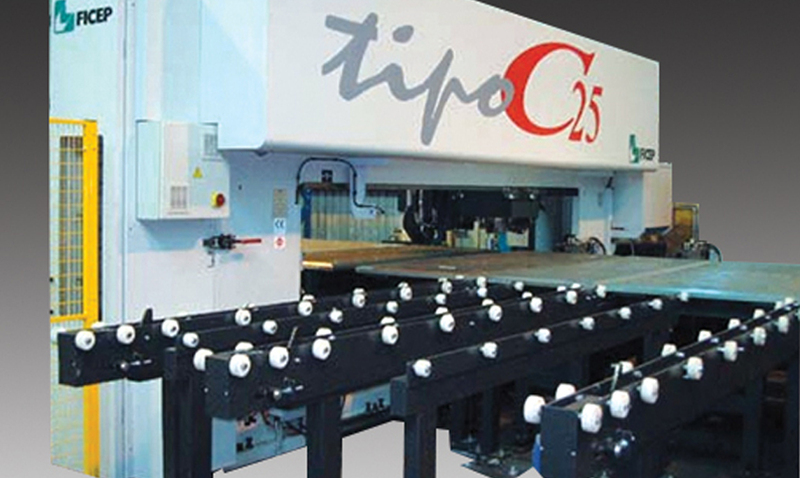 The Tipo C system can also be provided with a machining spindle that is capable of up to 5,000 RPM in conjunction with an automatic tool changer. The tool changer can be provided with 6 positions. 38 position fully programmable turret marking system. Fully programmable scribing system for part marking and the generation of scribing lines. 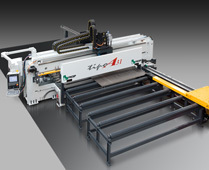 The Tipo C system can be provided with three retractable material clamps that enhance the material utilization through the reduction of dead zones. Low maintenance cost due to the utilization of a standardPC platform. 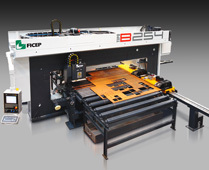 The Ficep software eliminates the requirement for additional hardware such as third party axis control boards, PLC hardware and encoder switching boards. 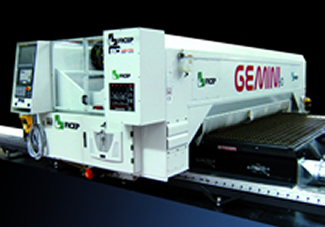 The Ficep Windows-based control is provided with the proprietary Ficep software for remote diagnostics through an internet connection. Maximum length without repositioning 122" 240"
Maximum width 63" 8 ft.
Minimum/maximum plate thickness 5/8" 1/16" - 1"
Maximum stock weight 1320 lbs. 5500 lbs. Positioning accuracy ± .005" ± .005"
Maximum hole size 4" 4"
Please review FICEP's terms and conditions of sale and system specifications that are in our formal proposal. The manufacturer reserves the right to change specifications and features from those indicated above. Current specifications and features are part of the formal quotation.